Travel on My Face: Sunrise Dive or a Knock at Death's Door? Sunrise Dive or a Knock at Death's Door? 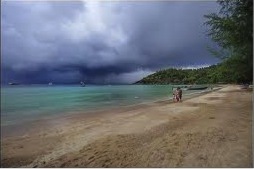 Sai Ree beach in Koh Tao during Monsoon Season. Once my friend Michele finished her PADI dive certification in Koh Tao, we decided to do a “Sunrise” dive together. We had to meet at Big Blue for 5:30 am and leave the beach with our gear by 6 am. I dragged myself out of bed after 3 hours of sleep and strolled down the beach in the dark. Even though it was still dim outside, you could tell the weather was going to act up. Monsoon season was in full throttle at this point. All customers and dive guides geared up and headed to the long tail boats to load up when an enormous gust of wind bulldozed through. An earsplitting crash came where the group was huddled and a massive limb broke off a tree above us. It detached, bounced on a tin roof and rolled onto a poor dude that originally planned to dive that day. Everyone sat in shock for a few seconds especially when this guy stayed glued to the sandy floor with zero movement. Several people rushed to his aid to see what damage had been done while everyone else held their breath to see if this guy was even still alive. After about 3-4 minutes, the injured fella gets up with the help of some Big Blue staff and all I can see in the dark from where I am standing was a bloody face. He was escorted to a table for some first aid action, but for the rest of us, the show must go on. I later found out that he had to be taken to the hospital in Koh Samui to be treated for a concussion, stitches, and a black eye and face. Poor guy, all he wanted to do was dive. 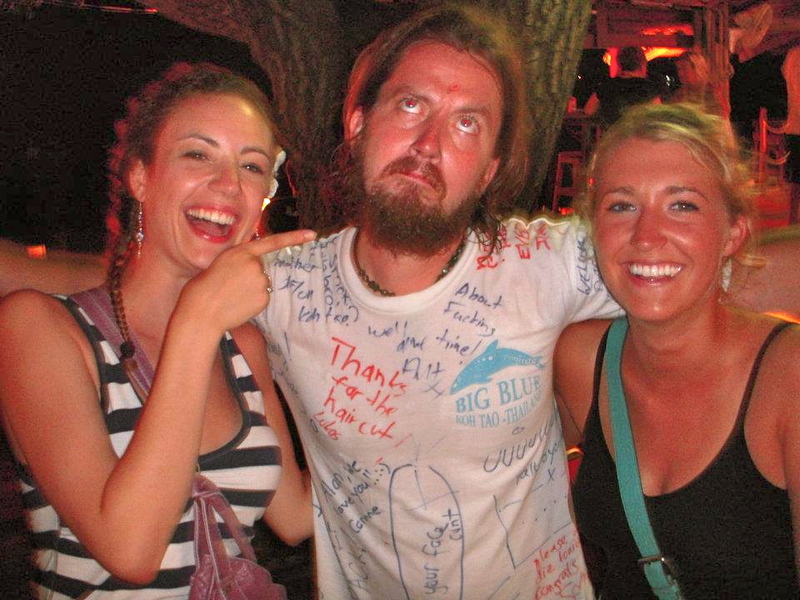 Michele, "Jesus", and Dawg at Big Blue Dive Resort. I continued to help load the long tail boats with my dive guide who looked exactly like what popular culture has epitomized Jesus Christ to look like. Funny thing is his name is James Christenson and he was 33 years old. Me, “Jesus” and the rest of the group loaded the long tail in an awkward silence still in shock from the events that just occurred. Little did we know that the early morning “incident” would set the tone for the day that lay ahead. Rain began to pour from the clouds when we got on the big boat that takes you out to the dive site and the weather kept getting worse. 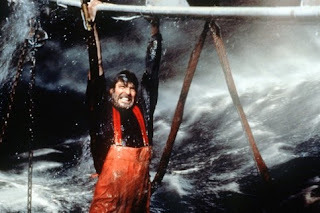 Before I knew it, we’re getting tossed around like George Clooney in the Perfect Storm. Most of us were downstairs in the cabin because it was too rough to be outside on deck. Our boat was thrown from side to side and back and forth continuously at a 180-degree angle. The windows that usually display a lovely blue ocean and the prospects of a sunrise were completely submerged when we swayed from side to side. I began to feel exceptionally nauseous and I typically have a sea master stomach. George Clooney holding on for dear life. Kinda like me. People tried to gear up as gracefully as possible but there were limbs and equipment flying all over the place. My tank flew off of the rack and nearly cut my foot off. Finally, I made it into the water at Chumphon dive site in hopes of spotting a whale shark. 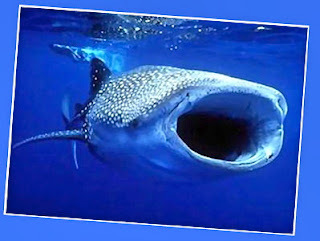 The dive was absolutely perfect and visibility was impeccable, although no whale shark. As we tugged along to Southwest Pinnacle for dive #2, the brand new boat we were on broke down for over an hour! Thankfully the weather calmed a bit, so we weren’t hanging on for dear life but the sun was at full blast and we started the bake session. Eventually the motors cranked up and we made it to Southwest. There were tons of gorgeous fish and again the visibility was amazing. Stunning reefs in an underwater mountain range and vibrant schools of fish surrounded me. Many of the experienced instructors who have logged 700+ dives in Koh Tao said that these were two of the best dives they’ve ever had on the island. I felt lucky to be part of those dives even though at some points I thought we’d never make it back to shore alive. By the time we made it back to the beach, it was 1:30 pm. The “sunrise” dive ended up being an entire day of nauseating hell and heavenly beauty! 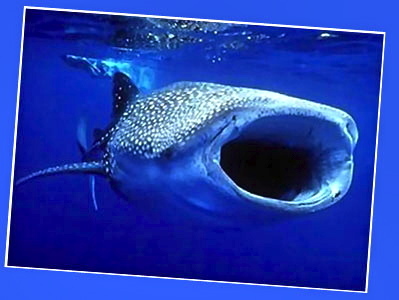 Whaleshark, maybe we'll meet in real life one day! Lawdy, lawdy, lawdy! Miss Angle you sure are havin a good time over there aren't you! Every post is awesome! Keep it up and I can't wait fod the next one!! Grayson! Thank you so much for reading, I'm glad you are enjoying my crazy adventure! If you have an suggestions or you would like to see any thing in particular please let me know! 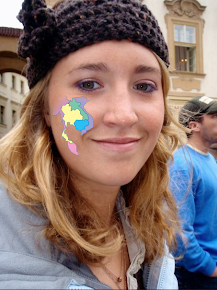 I hope you have a Merry Christmas on my face! !